vmcampos - Comic books, Comic-Con, and Magic: The Gathering. All the cool stuff. War of the Spark Early Access Event! Thanks to Wizards of the Coast, I’ve been given access to War of the Spark on Magic Arena! I’ll get a special account where I can try out every single WAR card and play as much Draft as I can handle. Amazing! So join me on Tuesday, April 23 starting at 10am (Pacific time) as I craft some fun decks, try the Limited environment, and chat with you. But wait! If you join me on the stream, and email me via my Contact Form, I’ll send you something nice! April 23rd, 2019 (10am Pacific) – Be there! 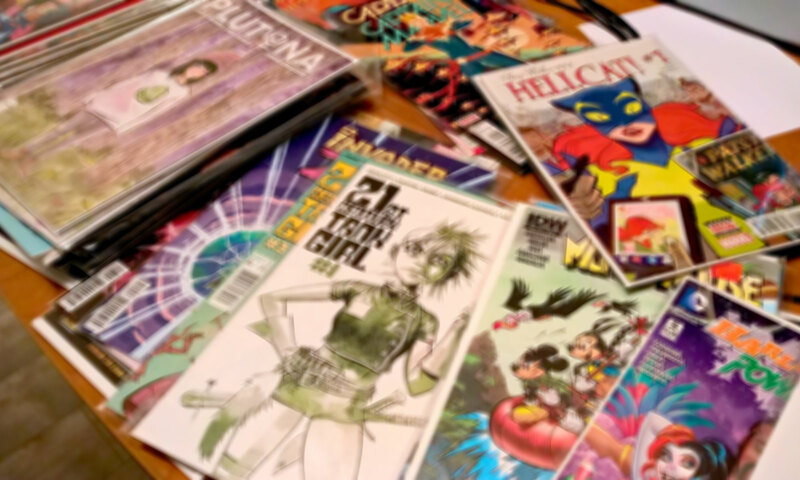 With so many comic books out there, how do you know which are worth your time? The good folks at The Best American… series have got you covered. I used to play Magic in the ’90s. I put the hobby away for a while. But, in 2017, I’m back. Here are my favorite Magic: The Gathering Resources.